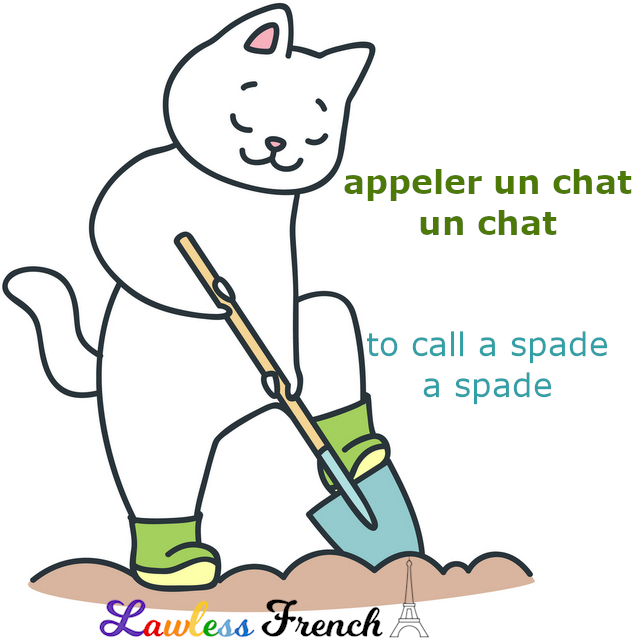 Usage notes: Euphemisms have their uses and avoiding certain topics can be diplomatic, but sometimes you just need to call a spade a spade or, as the French say, appeler un chat un chat. Using precise language is sometimes the best thing you can do to get your point across. Tu as raté l’examen parce qu’il était difficile, ou bien parce que tu n’as pas étudié ? 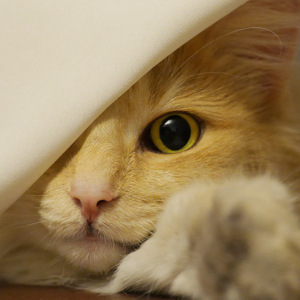 Allez, appelle un chat un chat ! You failed the test because it was hard, or because you didn’t study? Come on, be honest about it! Il n’a pas faim ? Appelons un chat un chat, il n’aime pas ma cuisine ! He’s not hungry? Let’s call a spade a spade, he just doesn’t like my cooking! The expression "to call a spade a spade," in which "spade" refers to a sturdy shovel, has been around since the 1540s, long before the word was first used as a racist slur in 1928.